Commercial agency, distribution and franchising agreements form the backbone of cross-border commercial activity, and international lawyers are frequently confronted with issues relating to such agreements. 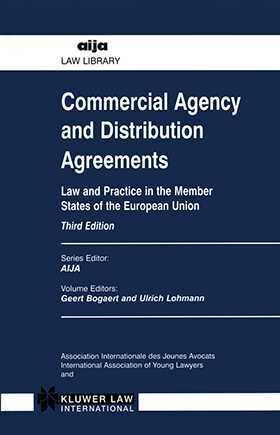 This authoritative, practical reference work describes the law of the European Union relating to commercial agency, distribution and franchising, together with a detailed comparative analysis of the legislation and case law of the 15 Member States, Switzerland and Norway. Each country report follows a similar structure and classification system to facilitate quick reference and comparison between jurisdictions. Since the second edition of this work was published in 1993, the Common Market has become a reality and the Treaties of Maastricht and Amsterdam have had a significant impact on European law, making the appearance of this fully revised and updated third edition extremely timely.